TowBoatUS Ventura responded to the scene with two assets, Assist Ventura & Retriever, as well as resources from the Ventura Harbor Patrol, United States Coast Guard Station Channel Islands, and several Good Samaritan vessels in the area. The one survivor onboard was safely recovered and brought onto the Good Samaritan fishing vessel, Emerald Sea. 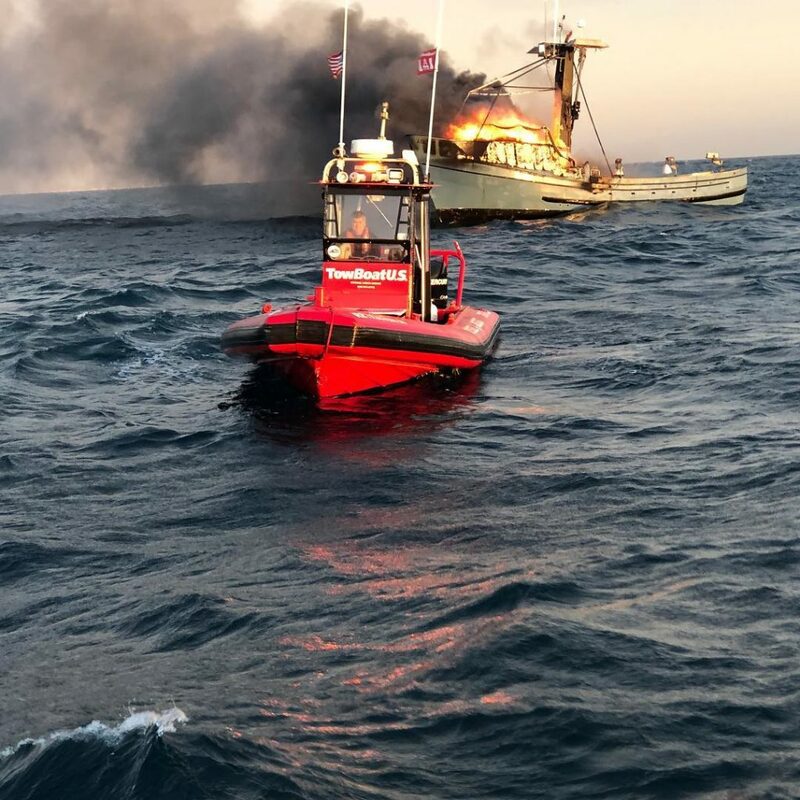 The fire was eventually extinguished and the vessel was towed into Port Hueneme by the Emerald Sea with the assistance from TowBoatUS Retriever. After all the fuel and other environmental hazards were removed, the vessel was towed to San Pedro by TowBoatUS Ventura. No injuries or environmental impact was reported. This incident shows how grateful we are for the mutual aid response capabilities of our local and federal partners as well as the willingness to assist from Good Samaritans. TowBoatUS Ventura reminds all mariners to have all required safety equipment aboard, an emergency action plan, as well as a working VHF marine radio monitoring channel 16. 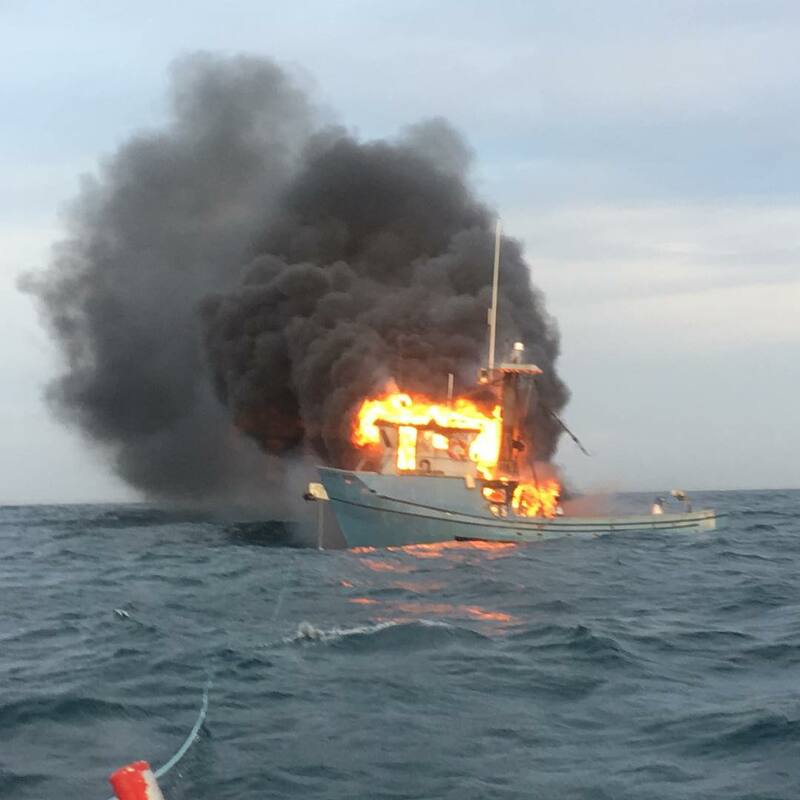 50 foot commercial fishing vessel on fire offshore of Ventura. For more pictures and details of the incident please see our previous post. TowBoatUS Ventura offers full towboat and salvage services to the mariners of the Santa Barbara Channel. As a member of the Accredited for Commercial Assistance and Professional Towing (ACAPT) program, you can be ensured that we will provided the highest levels of service. TowBoatUS Ventura is responsible for the territories spanning from Point Conception to Point Dume, California and is contracted to provide towing services to the members of BoatUS, Boat Owners Association of the United States. Please contact us at info@towboatusventura for all media inquires.